If you thought that Mad World had these cartoonish graphics and was all about unicorns and rainbows – I'm not sure why you would think that -, then take a look at the new image below. Creepy, isn't it? Gory and quite frankly unpleasant, to say the least. This is the Processing Plant, a grotesque place set in the northern continent. Maybe it wasn't always like that, but now, when things have gone to hell, it is nightmare fuel. Legend says that kids are warned by their parents to never go near that place, but the brave (or foolish) ones who dare to take a peek inside turn away in horror. If it isn't the bloody stench, it's the piles of corpses scattered around. 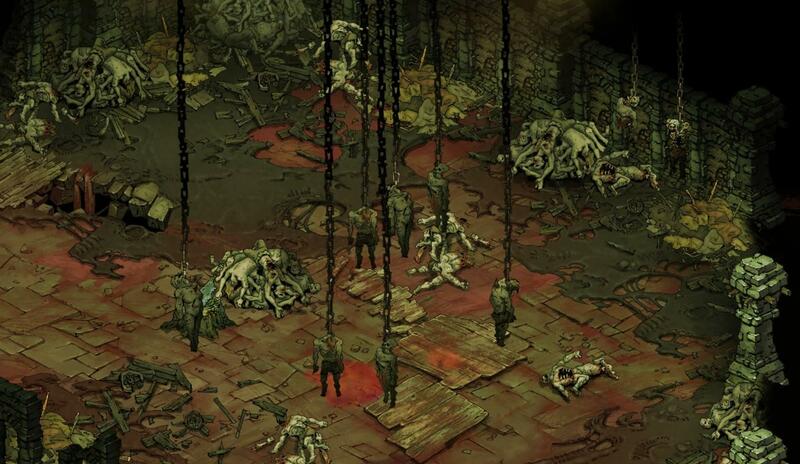 What these corpses are intended for, one can only guess. However, the sound of metal scraping against each other is a clue that something terrible is going on. Mad World isn't for the faint of heart. The first closed alpha test for this MMORPG begins this month with a very limited player count – around 600 players.